Bel Amer is a renowned premium chocolate brand in Japan with retail shops in major department stores, It opened its first and only chocolate cafe in Kyoto where chocolate lovers can indulge in all kinds of "atas" chocolate desserts. Plated desserts are always more expensive than cakes in patisseries and the average price of a dessert here costs around 1080 yen (SGD 14-15) which is on par with desserts in Singapore or even cheaper. Occupying a 2-storey mansion house unit within walking distance from Nishiki market, the 1st floor of the unit is a retail space where chocolates are displayed like expensive diamonds while the 2nd floor is a dimly-lit dining space that gave me an impression of a fine-dining restaurant rather than a casual cafe. The menu is divided into hot and cold desserts. Rather than picking a straightforward chocolate dessert, I decided to go for the Kyo-matcha souffle on the hot menu since it was rare to find it elsewhere. For a good wait of 10min, this souffle served didn't rise as high as its classic French counterpart and neither was it just an airy pomp. The interior revealed a moist and rather dense cakey layer that boasted an alluring dark green hue. The taste was neither too sweet nor too muted on the matcha; evidently a harmonious balance of quality white chocolate and Kyoto-originated matcha powder. Even the addition of rich chocolat sauce did not drown out the taste. This was deeply satisfying but my only gripe was that the happiness from a souffle was short-lived. There's also a pretty cool-sounding -196 degrees chocolate marron ice cream with hot chocolate tart. Probably when I feel richer to splurge, I will come back for not only one but two or more desserts. Hopefully the Pumpkin Cream & Nuts Chocolate Affogato will still be available then. I first knew Sin Hoe Huat as a kopi-roti stall at Sembawang Hills hawker center since my family often visits there for breakfast and lunch. In fact, it has been around since the 1960s and this family business is now helmed by the third generation of owners, according to what's been written on its website. It even won the 2008 CityGas Hawker Hunt for the Best Kopi & Roti. But it is only recently that I learnt about its cafe at Jalan Besar where they sell local food like laksa and thus I decided to check it out with my folks on a Sunday evening. Mercer Brunch is one of the longest standing western brunch spots that is famous for that French Toast. Like it or not, you can't escape from the toasts because every brunch dish is served with French toasts. Each one from Sets A-J on the one-page brunch menu features a savoury main course such as grilled chicken, sirloin steak, tomato stew etc., alongside 2 pieces of French toasts-plain without honey or whipped cream. "To produce the best soft serve in Tokyo" That's the motto of Aoki san, the owner behind Laitier, a cute blue soft serve shop near Kitasando. Although I haven't tried (will never be able to try) all the soft serves in Tokyo, I must say that this is one of the better soft serves in town. Meaning milk house in French, Laitier offers soft serve made with premium milk directly delivered from Shizuoka Izu Farm which has won the Ministry of Agriculture, Forestry and Fisheries (MAFF) gold award for 19th times. The cream has only a dairy fat content of 4.5%, which is 8-12% of average soft serve and the sugar is reduced by 75%! Not sure if it's truly low in calories but hey, at least it did make us feel less guilty indulging in the huge serving of soft serve. Yes, even though the price is not cheap, I must say the portions here are so generous--the cone felt very heavy but the soft serve was smooth, dense and not too sweet. Inspired by the French dessert Nougat Glacee, the Hachimitsu and three nuts soft serve (780 yen) was truly a nutty delight laced with lavender honey and the orange peel. The caramelized shards of almonds Pistachio and pecan nuts complemented the soft serve so well that I wished they could sell them in a separate bag so I can nibble at home. The Otoko Brandy Chocolat Soft Serve (780 yen) was obviously targeted at Otoko aka guys but I think this would appeal to any gender especially those who love alcohol because there's Hennesy in the spuit and Nama dark chocolates. The original milk-based soft serve can be upgraded to mascarpone-based for just 50 yen which we did for this Otoko Brandy flavor. It was wonderfully lush in texture with mild Savoury notes not found in the original flavor. Best if you can try both types of soft serve base (the original vs. the mascarpone) to do a taste test for yourself. My vote goes to mascarpone. I thought I entered the world of "Emily of the Emerald Hill" when I stepped into The Peranakan, a restaurant that exhibited the opulence of Peranakan culture at its grandest point. From the finely crafted tableware to the exquisite chandelier, one can't help but feel like a royalty when dining in here. I had the chance to try Tok Panjang ("Tok" means table in Hokkien and "Panjang" means "long" in Malay), which is a long table of feast that accommodates the kaleidoscope and magnitude of food specially prepared for very special guests or occasion. No, it's not some Angmoh cooking up some ramen. It's Japanese ramen with an Italian twist. Think ramen in cheese broth with Parma ham. Something like soup pasta but the broth is thinner and not overwhelmingly rich. This Fromage Ramen is the signature creation of Due Italian, a little red ramen-ya that has been awarded Michelin Bib gourmand for 2 consecutive years. Chef-owner Ishizuka was born in Italy and opened up to 6 Italian restaurants in Tokyo at one point in time. Business took a downward turn due to economy recession but he met Sato Minoru san, the founder of famous ramen chain "支那そばや" and learnt the ropes from him. With the aim of serving healthier ramen, he created his signature "Golden Shio Ramen" (黄金の塩らぁ麺) that boasted a special broth made with a golden formula of Nagoya chicken bones, scallop, konbu etc. When I first stepped into his little red shop in Ichigaya, I thought I entered a small Chinese noodle house, not a typical hole-in-the-wall ramen ya. The only thing that reminded one that it is a ramen shop is the self-order vending machine. Nonetheless, it felt more welcoming than a ramen-ya and no wonder 80% of the customers are ladies. The basic Fromage noodle (980 yen) was an interesting dish served with two globules of cheese. Parma ham can be added for 200 yen and I think anyone should do so because it imparted more bite and flavor to the dish. Once stirred with chopsticks, the cheese disintegrated rapidly under the heat and turned the soup creamy white. Yet it wasn't as thick nor rich like a carbonara but more like a cheese-flavored milky chicken broth that was light and tasty. Add the beauty Genmai rice served towards the end into the remaining soup and you'll get somewhat watery porridge which they call "risotto". On the other hand, the Golden Shio Ramen (880 yen) tasted quite flat and pedestrian. I was expecting more from this bowl but there was nothing much to shout about except for the tender Matsuzaka charsiu. The soup was clear and significantly less oily than average ramen, though those who are used to rich heavy flavors will find that this lacked the kick. One thing I like is the flexibility to change the usual noodles to zero-calorie konnyakyu noodles for extra 100 yen. In fact, the texture was almost the same. Overall, the concept of a healthy Italian style ramen sounds pretty attractive but I'm uncertain if it is worthy of a bib gourmand. I'll look elsewhere for a more satisfying ramen experience. Pour the hot chocolate to melt the chocolate cover and proceed to enjoy the dessert in the glass. This is pretty much the same formula which has been recycled in different ways in other parts of the world but I wanted to try it because the person behind this is the famous Chef Kakimoto. 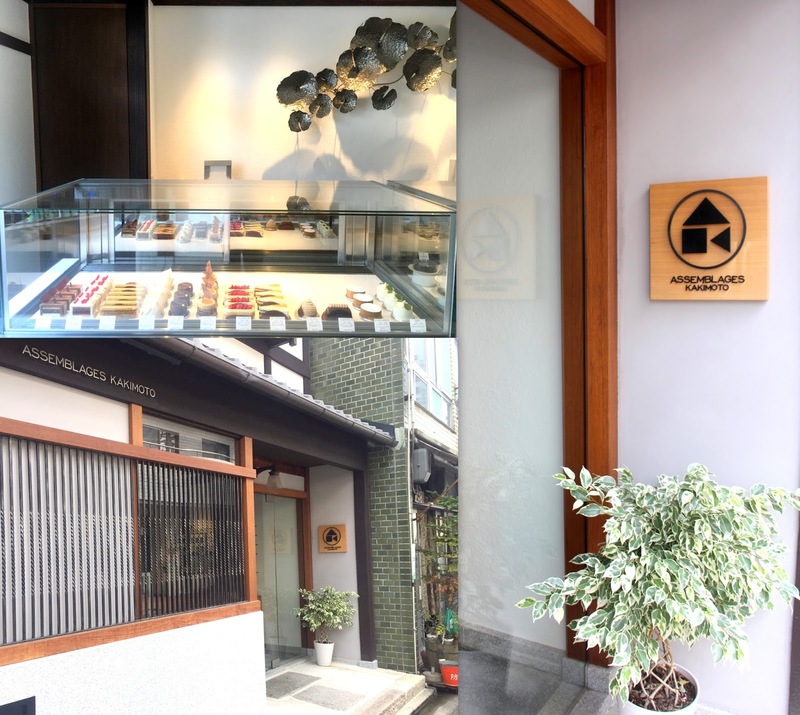 Assemblages Kakimoto is a newly opened shop in spring 2016 by Chef Kakimoto who previously assumed the role of patissier chef and advisor of the renowned chocolate shop Salon Du Royale in Kyoto. With numerous accolades under his belt, he is popular and well-respected figure in the local chocolate scene, with fans who made trips all the way just for his chocolate creations. It's no wonder that his first independent venture has been closely watched by the media. Decked in clean, white polished walls, the front of the shop gives a very bright clear view of his entremets that are displayed like art pieces in a museum. Walked past the door and you'll be greeted by a darkly lit L-shaped counter table and the shelves arranged with all kinds of sake and French wine. It's similar to Toshi Yoroizawa's salon but the atmosphere is much serious and even a little sacred, looking over a Zen garden that suggests that silence is gold here. The plated dessert which I've ordered did not took a very long wait, but I wished Kakimoto san could arrange someone more professional to do the desserts if he wasn't there himself because the lad that was in-charged was sloppily dressed and looked super unprofessional. I even thought he was a school dropout! That definitely spoils the experience no matter how well executed the dessert is. And that was true. The Vert was like a beautiful edible garden of mushroom-shaped chocolate mousse, marshmallow , Matcha mousse, Matcha sponge and matcha chocolate stick. The mousse here isn't those that melts instantly. They were sticky and airy, like Cadbury Aero Chocolate. The matcha was of superior quality but what impressed me was the grated blue yuzu which provided a very nuanced but pleasant citrus whiffs that somehow unified all the 10 different elements here. Lying beside the glass was a Tonka Nougat Ice Cream which I was instructed to eat with the main dessert when I am halfway done with it. That atas magnum stick was excellent even though I figured that it would be still as delicious on its own. If given a choice, I would just stick to the the entremets because simply they gave me a longer lasting satisfaction. The Apricot grabbed my attention instantly with its thin chocolate film that resembles an eagle's feather. The apricot mousse was creamy and not too nauseatingly sweet, with a crunchy base fortified by the roasted almond nuts. This is probably the most beautiful and delicious apricot tart I've ever had! What truly showcased his mastery in chocolate was this shimmering piece of Chocolate Tonka that had such a intricately silky mousse which should not be hastily consumed. Matcha took a backseat here as a sponge but it still maintain a cool posture of its own without stealing the limelight away from the Tonka chocolate and crispy cacao nibs. Come by at night and this place transforms into a fine-dining place serving dinner course that costs as much as ¥12,000. It's the first time I come across a patissier who also calls himself a chocolatier and a cuisinier at the same time ( As described in his website). And it will be another whole story to tell if his savoury dishes lived up to his name as well. Access: 8-min walk from Keihan Line, Jingu-marutamachi station. Opened in 2013, King George is synonymous with voluminous sandwiches with fresh, quality fillings. It is one of the early pioneers of the giant sandwich food trend and the colorful instagramable cross sections make this a popular place amongst youngsters. Just like Teochew Porridge, there's nothing better than Taiwan sweet potato porridge with an array of familiar home-style dishes to bring family and friends on the same table. There aren't many Taiwan porridges restaurants in Singapore so I was happy to learn that Goldleaf Taiwan Porridge has opened a second outlet at Katong Square, a newly established commercial mall that took over the former Joo Chiat Police Station. In fact, Goldleaf has been established in Singapore since 1971 and it relocated from Orchard to Amoy street. I visited the Katong outlet with my family on a Sunday evening and our overall experience was a pleasant and satisfying one with more hits than misses. After Omotesando Koffee, Urasando Garden is probably the next best kept secret in Omotesando hills. Camouflaged into one of the residential units, Urasando Garden is a 2-storey traditional Japanese house that has been converted to a co-sharing space that celebrates traditional Japanese arts and sweets. The name also aptly describes the place because "Ura" means "at the back" or "behind" while "Omote" means "front". As such, you can literally interpret the name as a garden in the back streets. This is a space where people gather for cultural experience and taste of Japan, with a tweak of creativity reflecting the uniqueness of the Omotesando area. Don't fuss over what to cook at home on 31st December. There's only one more day left to 2016 so treat yourself to an A-grade dinner at any of five restaurants at Grand Hyatt. Be spoilt with all kinds of choices from Indian to Italian cuisine or a scrumptious platter of fresh sashimi served using sustainable seafood. 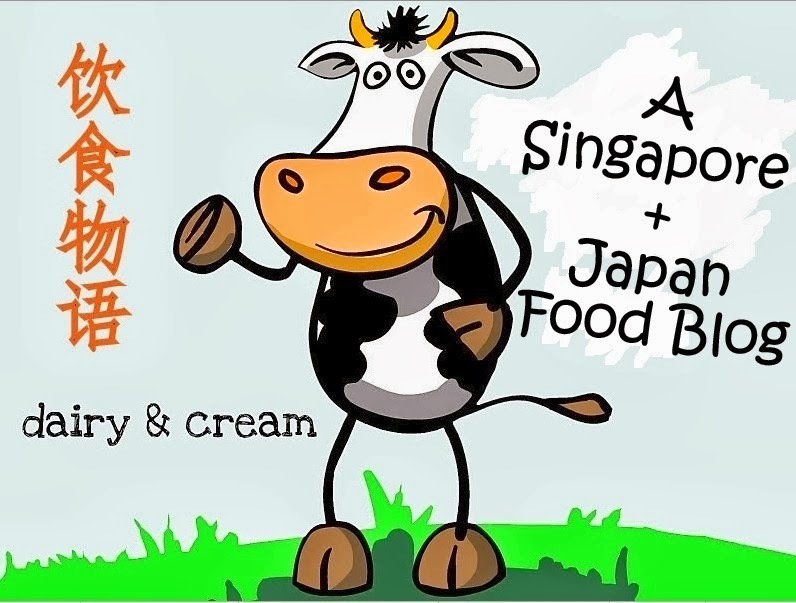 But after your dinner, don't be too kanchiong to head home! Toast to a "Beautiful Age" at the Belle Époque countdown party where free-flow beverages and a dessert extravaganza awaits you alongside live music and entertainment. Here's a sneak preview of some of the dishes offered at Grand Hyatt for New Year's Eve dinner and of course, the dessert extravaganza! Relish a taste of Singapore's culinary heritage with Colony's latest revamped afternoon tea featuring a 5 savoury dishes served in an exquisite ceramic tingkat. They are inspired by local Chinese and Western cuisine and are larger than the average cocktail canapés. Delicious highlights include the mini lobster quiche--savoury egg custard with chunky lobsters encrusted in a buttery flaky shell, as well as the Pumpkin Cake with Chilli crab sauce. I am usually very skeptical about desserts from cafe restaurants in commercial shopping complexes because they tend to be of very mediocre quality. However, I was totally proved wrong at Salon Bake & Tea, a restaurant that serves all-day French food and desserts in the newly opened NEWoMAN mall. This is part of the Salon adam et Rope group whose main business line is fashion. 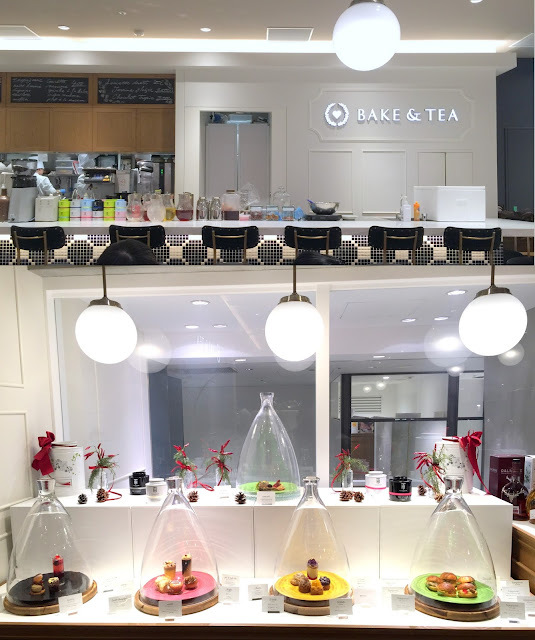 I couldn't think of another better place than Salon Bake & Tea for late night desserts in Shinjuku because other options are franchised cafes in department store or fruit tart cafes. Not anything attractive to me to be honest. One can order the specialty plated desserts or pick and choose any petit entremets showcased on stylish plates at a corner of the restaurant. I was shocked to learn that each petit entremet cost a hefty \400 but the quality was worth the splurge. My favourite was the Cassolette and Tartelette Au Poitron as the sable base is excellently crunchy and buttery. Especially the cassolette whose gold crackly sugary skin shattered into a pool of custard and yuzu berry confiture cusped within the choux pastry. The 30-cm tall seasonal Sweet Potato parfait stood out not only in height but flavors. This isn't just the usual whipped cream and cakes stacked over a pile of cornflakes. Right at the base is an ultralight raspberry jelly layered with vanilla custard mousse and fresh cream before being generously buried in homemade cocoa sables and granola. Above all these decadent goodness is luscious pumpkin cream, raspberry confiture, marron paste and a sweet potato burger choux that's encased with vanilla ice cream suspended at the top. The composition was flawless and the golden ratio contributed to a perfect harmony of all the characters in this seemingly chaotic work. Truly one of the best parfaits in 2016 besides the Purple Sweet Potato Apple Yoghurt parfait from Kissho Karyo. I always prefer standing bar sushi to fine-dining restaurants because of the wallet friendly prices and faster turnover rates. Also, I can order as little or as much as I want without worrying about overeating. With the recent opening of Tokyu Plaza Ginza, I decided to check out the standing sushi bar by Hokkaido sushi-ya Nemuro Hanamaru because I've had good experience at its Kitte Tokyo outlet and wanted to satisfy quick sushi cravings.